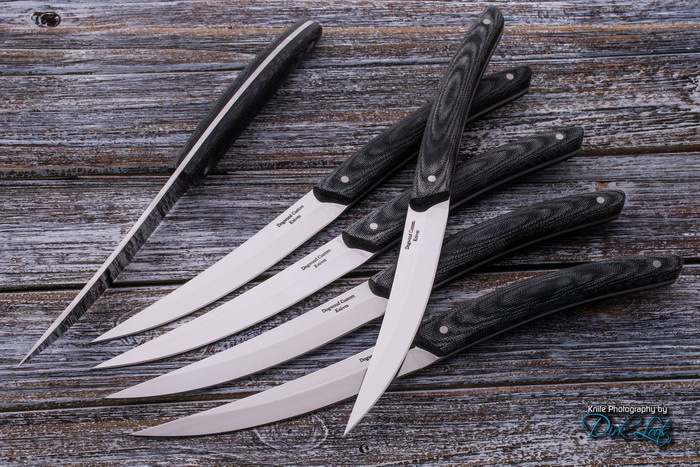 Dan Eastland has crafted a stylish, but practical, set of six steak knives with 4.625-inch blades of 440C high carbon stainless steel hardened to Rc59. The handles are black canvas Micarta with stainless steel pins. They are 9.25 inches overall length.